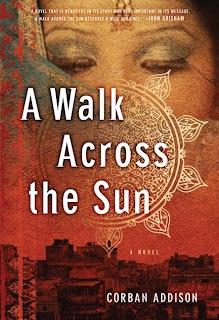 An unforgettable journey into the underworld of modern-day slavery, A Walk Across the Sun begins on December 26, 2004, as seventeen-year-old Ahalya Ghai and her younger sister, Sita, are walking on the beach outside their home in Chennai, India. Suddenly, the unimaginable happens: a devastating tsunami hits the shore, tearing their family apart instantly and leaving them orphaned and alone. As they attempt to travel toward safety inland, they are kidnapped and delivered to a Mumbai brothel, to begin new lives as captive prostitutes. In Washington, DC, a young lawyer, Thomas Clarke, is forced to take a sabbatical from his prestigious law firm. He chooses to serve his time with a non-profit group working in the red-light areas of Mumbai, where his wife, Priya, has returned to live with her family following the tragic loss of their child. Little does he know that his reluctant penance will soon turn into an international quest for the woman he has lost and a child he has never met. Though separated by half a world, the destinies of Thomas and the Ghai sisters become intertwined as Sita is trafficked to Paris and then New York. Before long, Thomas is navigating the brutal system of international human trafficking in an effort to reunite the sisters and save Sita’s life. Unflinchingly gritty yet ultimately hopeful, A Walk Across the Sun is an eye-opening tale of family and survival. 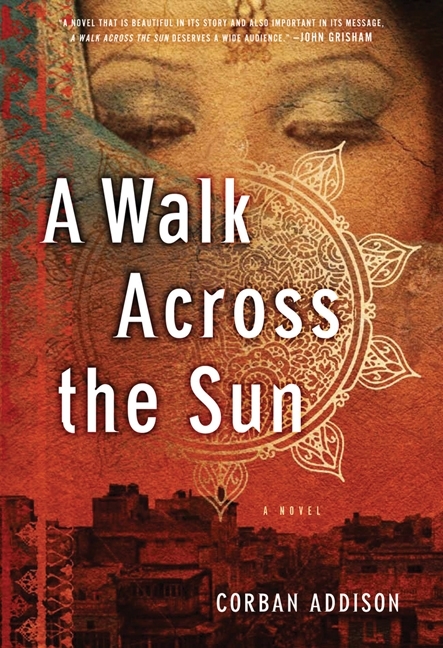 A Walk Across the Sun was a captivating, incredible story of redemption in its many forms. Alternating between the story of sisters Ahalya and Sita and couple Thomas and Priya, this book hooked me from the first page. From the beginning the story had an intensity that wa undeniable. Quickly paced and shocking at times, I began to feel for all the characters early on and couldn't put the book down needing to find out what was going to happen next. Ahalya and Sita are teenage sisters living on the coast of India with their doting parents, until tragedy strikes. A tsunami destroys their village and wipes out their family. Terrified, elder sister Ahalya tries her best to get help and find a safe passage for them to return to their convent school. Unfortunately, as is too often the case, devious forces come into play and the sisters are sold into slavery at a brothel in Bombay. Meanwhile, we are also introduced to broken hearted Thomas, a lawyer living in the D.C. area who is feeling adrift personally and professionally. His law career leaving him feeling unfulfilled, his young daughter having tragically died and his wife having left him, Thomas is in need of some change. Ahalya continues to protect Sita until the unthinkable happens - Sita is sold away to another criminal. Separated, the sisters never stop thinking about each other and dream of one day finding each other despite every twist and turn their story takes. Thomas, given an ultimatum by his firm, ends up in Bombay himself on a sabbatical assisting writing briefs for an organization working on helping victims of human trafficking. He soon becomes involved more deeply and personally after meeting the newly rescued Ahalya who extracts a promise from him to help find her sister. An intricate story, masterfully crafted, which ultimately shows the power of salvation and forgiveness, A Walk Across the Sun was an amazing start to 2012 for me and I can't recommend it highly enough. It seemed like a story that was something you could hear on the news so was quite believable and well researched from every nuance and heart pounding scene. Thank you to SilverOak for our review copy! All opinions are our own.